Let's Stamp! : It's the 1st October!!! And that means it's the launch day for the new catalogue! There are lots of new goodies to get excited over, plenty of new ribbon, the gorgeous new colours, patterned paper, and of course lots of wonderful new stamp sets. I already have a long list of favourites! Stampin' Up! have introduced new clear mount stamp sets in the UK! 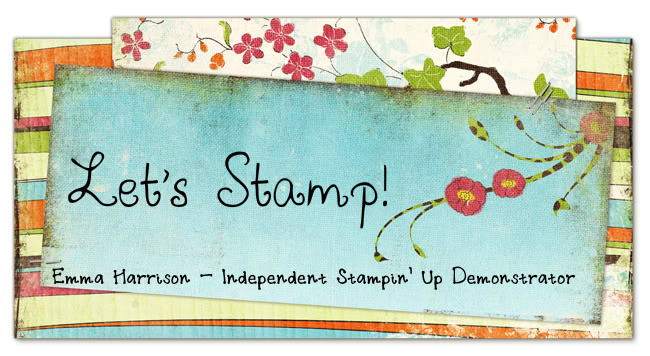 You still get the amazing stamping quality of Stampin' Up! red rubber stamps but now you can mount them onto clear stamping blocks opening up your stamping options and making storage of all those lovely stamps a lot easier. The postage rates have also changed. Postage is now a flat rate £4.95 regardless of the size of your order, so you can now place larger orders without worrying about the postage going up. With all the new exciting products on offer there is also an exciting new Starter Kit. The Starter Kit is at a special reduced price of £119 (valued at over £230) and contains all you need to get you started. There is also a scrapbooking add-on called Stampin' Memories for just an extra £50 (valued at over £80). What a great time to become a demonstrator! Feel free to email me if you're interested in becoming a demonstrator and would like more information. If you've not already ordered a copy from me then take a peak at the electronic version in my sidebar. If you can't wait to have the glossy pages in your hands then get in touch and I'll happily order one for you. The new catalogues are £5.95 but throughout October I'll be selling them for £4.95 or if you host a workshop you can get your own copy for free! 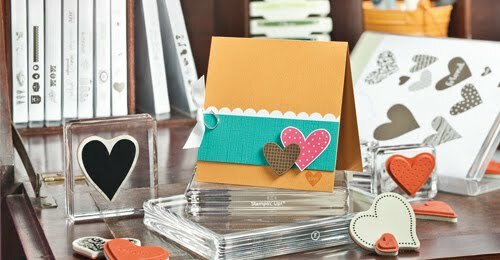 I'll be back later tonight with some photos of the cards I've made with some of the new stamp sets but there are some gorgeous ones in there, and the new hostess stamp sets are divine.